Fort Wayne, IN - With over 35 years of combined experience in Northeast Indiana, the agents of Xplor Commercial Real Estate are poised to make their mark in the local economy surrounding Fort Wayne. Our ongoing collaboration with Xplor has resulted in a complete brand design including logo, website, brand collateral, signage, and more. 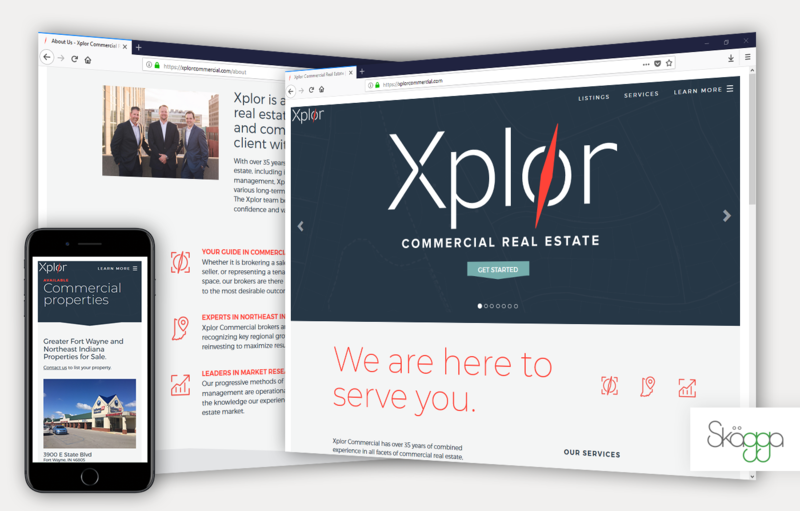 Exploration, a defining attribute of commercial real estate investing, is embodied in the compass-esque logo mark - the Xplor Commercial team are your guides in the NE Indiana commercial real estate industry. View the new mobile-first UI/UX at xplorcommercial.com.